It’s summertime and that means grilling! Here is an easy summer grilling recipe with Pusateri’s Fine Foods. Nothing is better than firing up the BBQ and grilling outside on a beautiful summer day. I’ve teamed up with Pusateri’s to put together this summer grilling recipe that uses fresh ingredients that I can rely on Pusateri’s to have in stock. Pusateri’s is a small Italian neighborhood store that quickly turned into a fine-food emporium. They have 6 locations around the Toronto area. They specialize in gourmet, imported groceries and specialty items that I can’t get anywhere else. Not only do they have the freshest ingredients for all your gourmet recipes but they also have a wonderful selection of ready-made foods to take home as well as Pusateri’s catering. We love shopping at the Pusateri’s Sherway location as it is conveniently close to home. The Pusateri’s Sherway location is located in the Sak’s Sherway Gardens food hall. Not only do we love shopping here but we also frequently visit the Champagne bar. They have a wonderful menu that has been crafted especially for the Champagne Bar. We return often for their fresh oysters. In a small bowl combine salt and pepper with 1 tbsp fresh rosemary and 2 tbsp of olive oil. This makes a rub for the lamb. Take the lamb chops and rub them each on both sides with the spice rub. 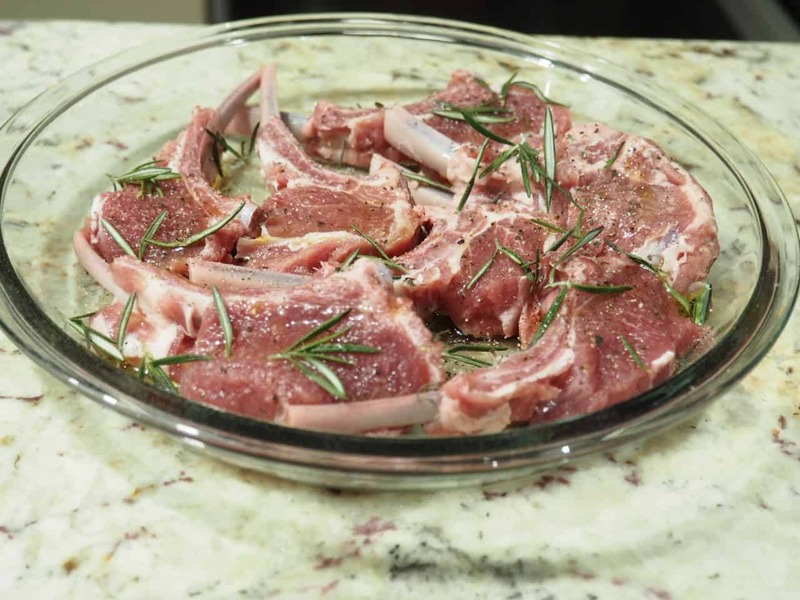 Place the chops in a deep dish with 2 tbsp olive oil, lemon juice. Cover and leave in the fridge to marinate while preparing other ingredients. 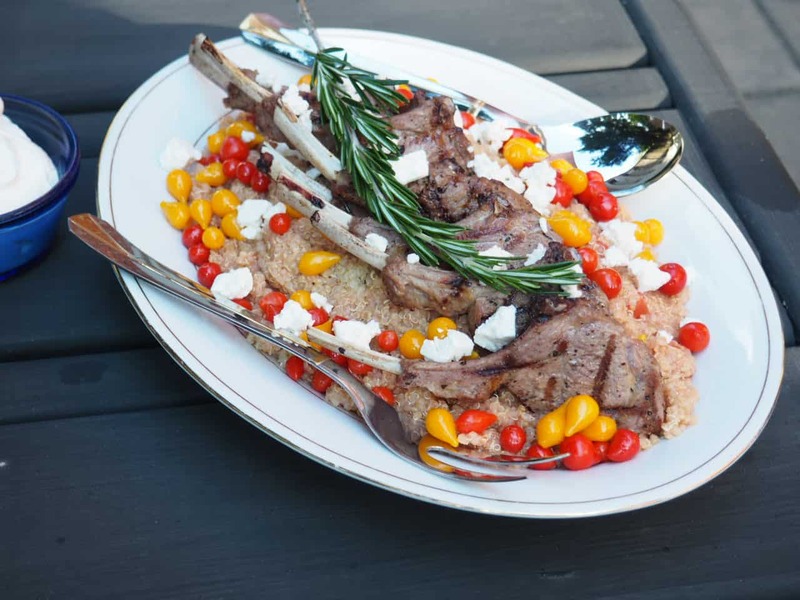 20 minutes before grilling, remove the lamb chops from the fridge and begin to cook the quinoa. Cook the quinoa according to the package adding a dash of salt and olive oil to the cooking water. 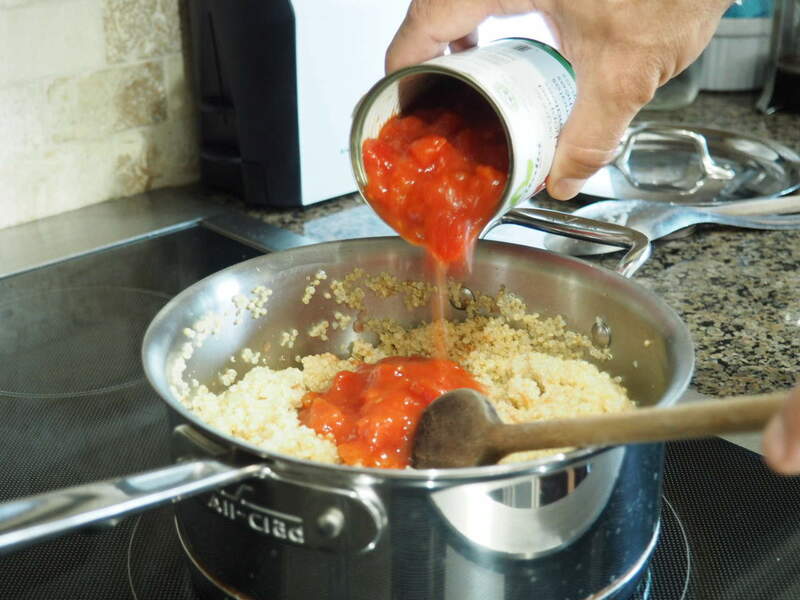 Cook ever so briefly and then add the canned diced tomato. Season with salt and pepper and cook for 4-6 minutes, stirring occasionally. Time to grill the lamb chops! 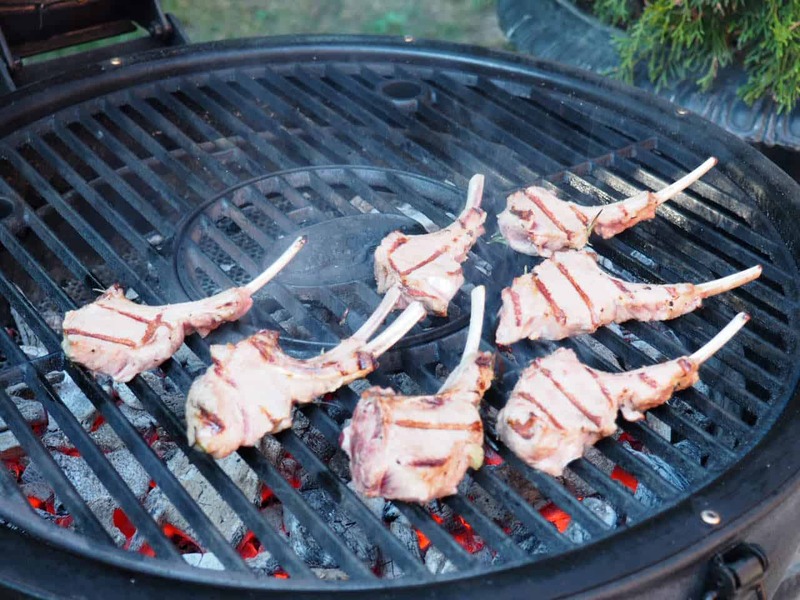 On a high heated gas grill, grill the lamb chops for 6-7 minutes, turning over once. 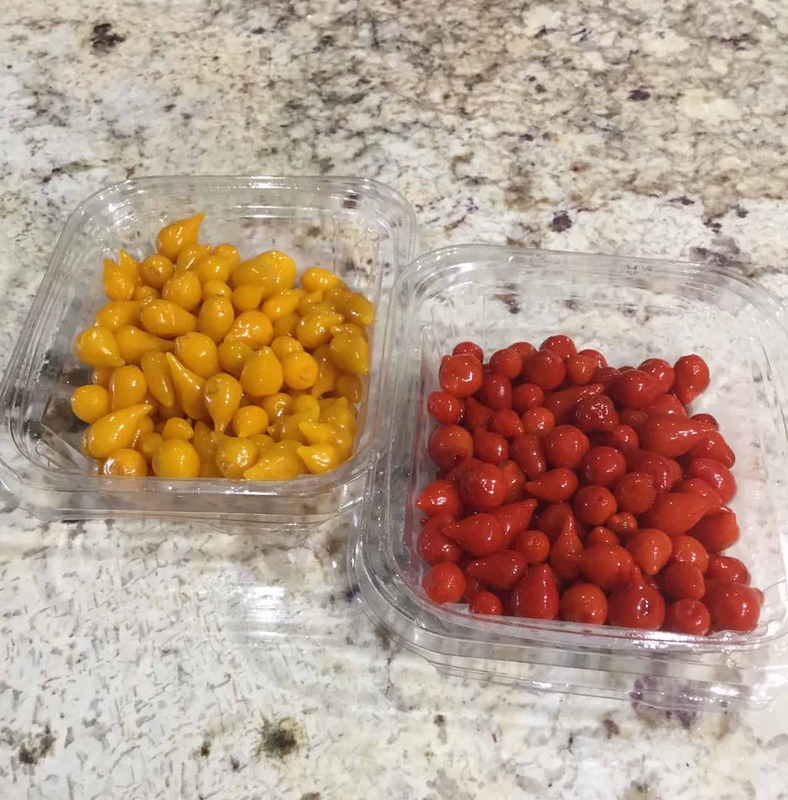 When ready to serve, transfer the quinoa to a serving tray topping with feta cheese, Pusateri’s Peruvian sweet peppers (yellow and red) and more fresh rosemary for garnish. 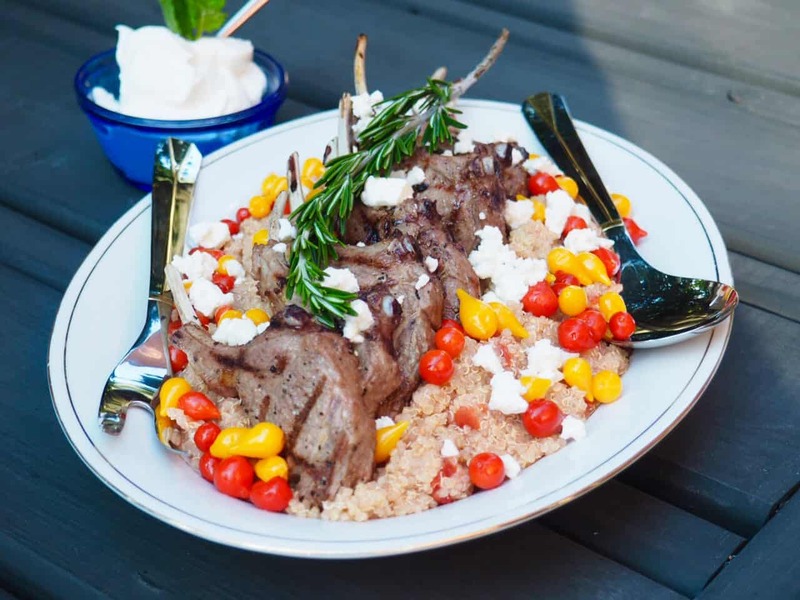 Serve 2-3 lamb chops over the quinoa bowls with a side of plain Greek yogurt. Enjoy! This is a perfect dish to prepare in a short amount of time. Nothing is better than a delicious, fresh dinner that takes under one hour to prepare. 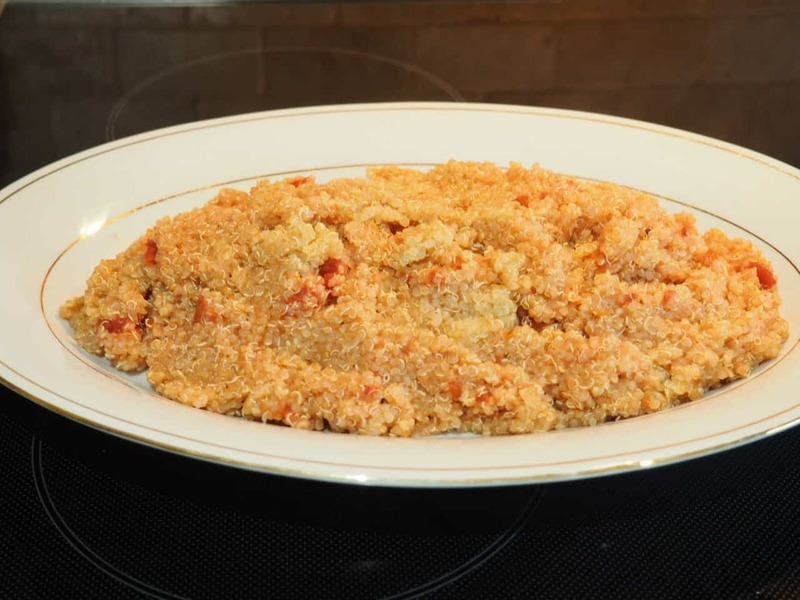 Pusateri’s fresh, unique ingredients made this dish easy to prepare. Thank you Pusateri’s for always having the freshest ingredients that we simply can’t find anywhere else.